There was a time last night, right around 2:30 am, with our new little girl home from the hospital, for her first night in the house she's going to grow up in, and we thought that we were doing it all wrong, that we'd miscalculated horribly. She'd been agitated, squirmy and chirpy for nearly two and a half hours. She was half-eating, half-sleeping, unsatisfied, uncomfortable and yet, still not fully agitated. It was a state of mood that was somewhat understandable and still hard to process in those too-late-for-sanity hours. You just kind of want to jump out of a window and run down the street to the bar. If you're going to be up that late and not wanting to be, you might as well be getting in on last call and some food truck eats. 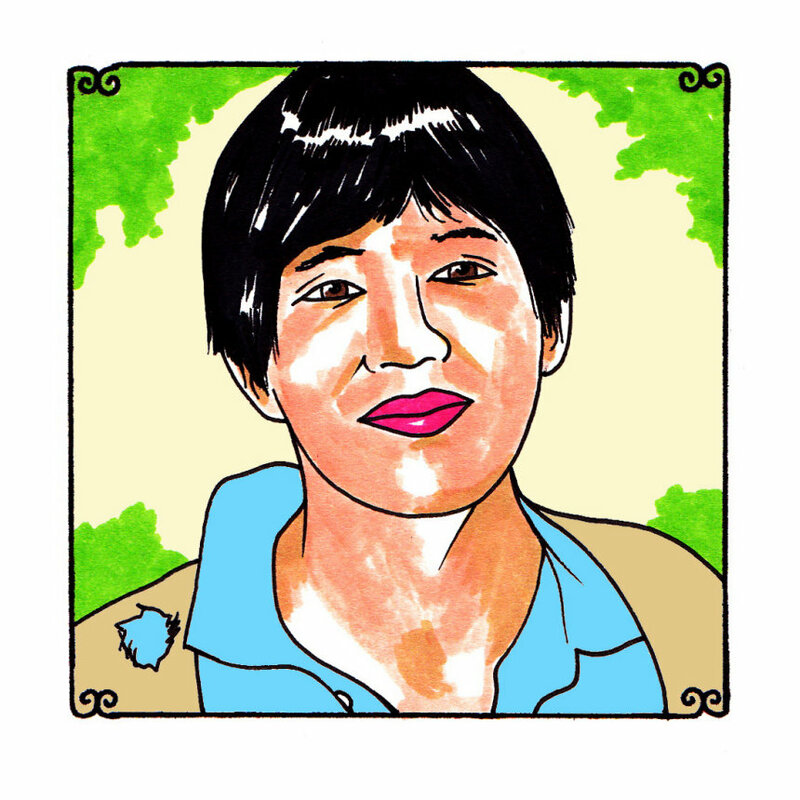 Were we wiser people, we would have put a Dustin Wong record on. It would have been the quickest way of soothing a newborn baby who's never heard music before in her life. The first thing that we should have played for her - to get her interested and to take her mind off of whatever troubles she thought she was encountering - would have been these four improvisational songs. They wouldn't have put her asleep. That's not what we're saying here. They would most definitely intrigued her and kept her rapt, not even knowing what she was hearing, not knowing what she should or could be listening to. She could have just laid there, on her back, swaddled tightly, with a pacifier plugged into her mouth and drifted off into this imaginative universe where every phrasing is interesting and deserves appreciation. Some of what Wong does feels so intuitive that it comes across as easy - the looping and repetitiveness, but upon multiple listens, it becomes clear that this is a bigger work and that nothing's the same for long. These compositions undergo continual manipulation and disfigurement at his hands, as he massages all notes so lovingly, so delicately to make a whole piece of art that sounds like a beautiful migration from north to south and east to west. For our newborn daughter, this session might have kept her awake, but she would have been dreaming her first lit-up, fluffy dreams.